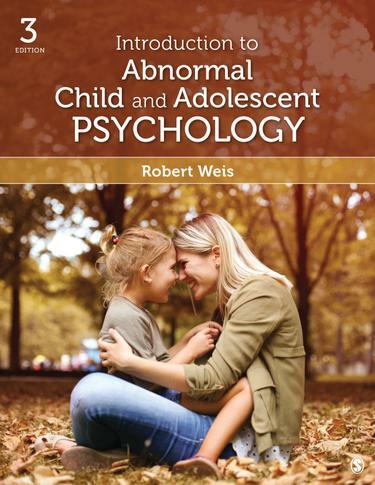 Robert Weis' third edition of Introduction to Abnormal Child and Adolescent Psychology adopts a developmental psychopathology approach to understanding child disorders. Using case studies, this perspective examines the emergence of disorders over time, pays special attention to risk and protective factors that influence developmental processes and trajectories, and examines child psychopathology in the context of normal development. Designed to be flexible via its focused modular organization, the text reflects the latest changes to the DSM (DSM 5, 2013) and is updated with new research and developments in the field.